A new article by McKinsey & Co. takes a skeptical and cynical look at blockchain’s progress, concluding that its breakout is not the slam dunk many once believed. Titled Blockchain’s Occam Problem, the article claims some industries are already downgrading their expectations. “Companies set on taking blockchain forward must adapt their strategic playbooks, honestly review the advantages over more conventional solutions, and embrace a more hard-headed commercial approach. 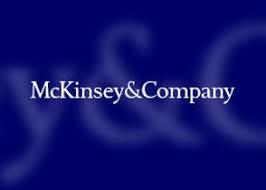 They should be quick to abandon applications where there is no incremental value,” says McKinsey. Creating a dedicated network that would benefit an entire industry was something most companies had little appetite to accept. “In addition, many banks have been distracted by broader IT transformations, leaving little headspace to champion a blockchain revolution,” McKinsey said.